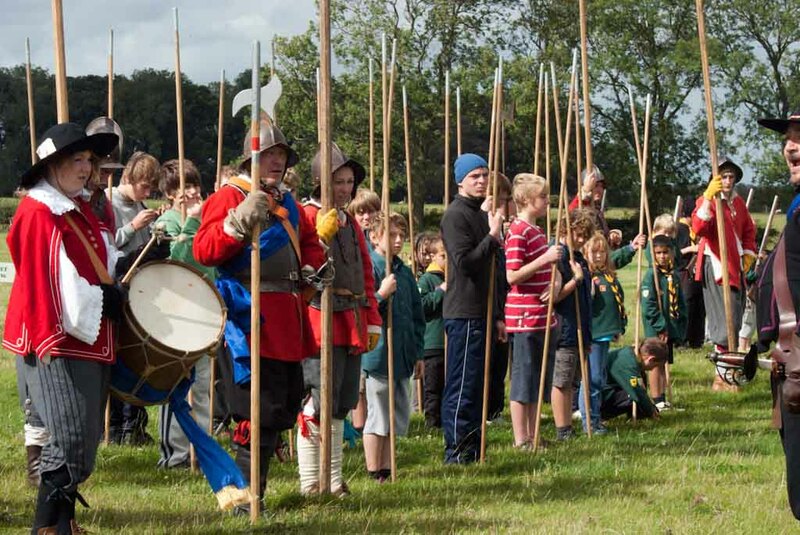 Master at Armes Weekends are enormously popular with the members of Hammond's Regiment as well as with the young people we train. Working hard with youth groups to educate and inform about the period of the Civil Wars. 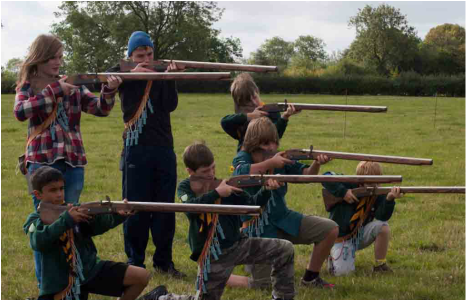 We have trained over 500 beavers, cubs and scouts on these weekends and help them to pass their 'Master at Armes' Badges - which is where the name has come from. 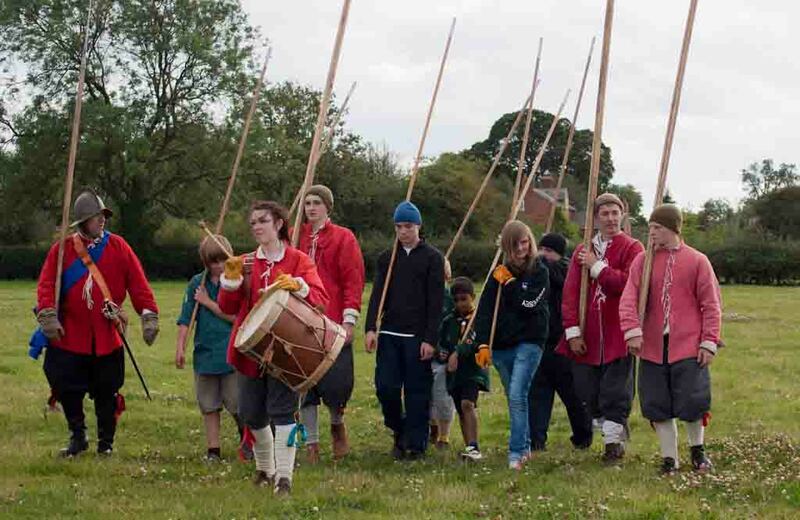 We keep the youngsters busy all day, training them in pike, musket, sword and even canon! 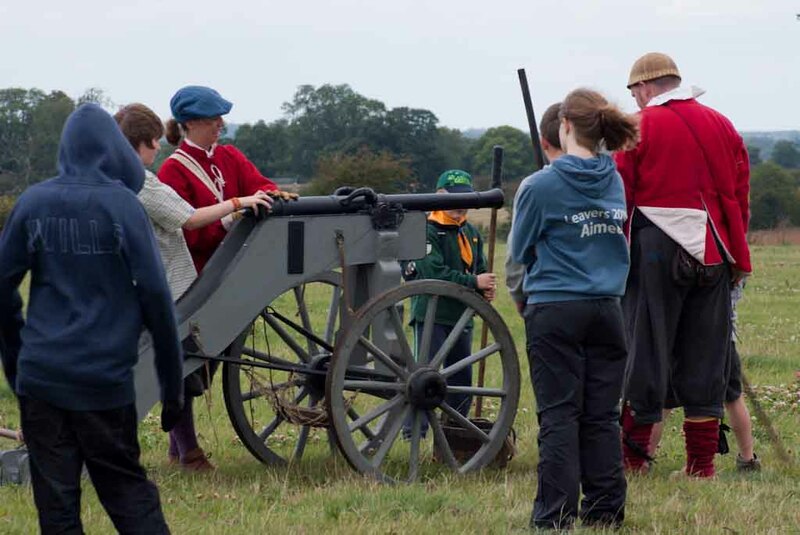 We teach them about safety, and even fire musket and canon in the dark so that they can see how dangerous they are.